When talking with people about rain barrels they always ask about the rain chain. It’s assumed that the mere fact of collecting rain water must require a rain chain. I’m going to settle this once and for all. 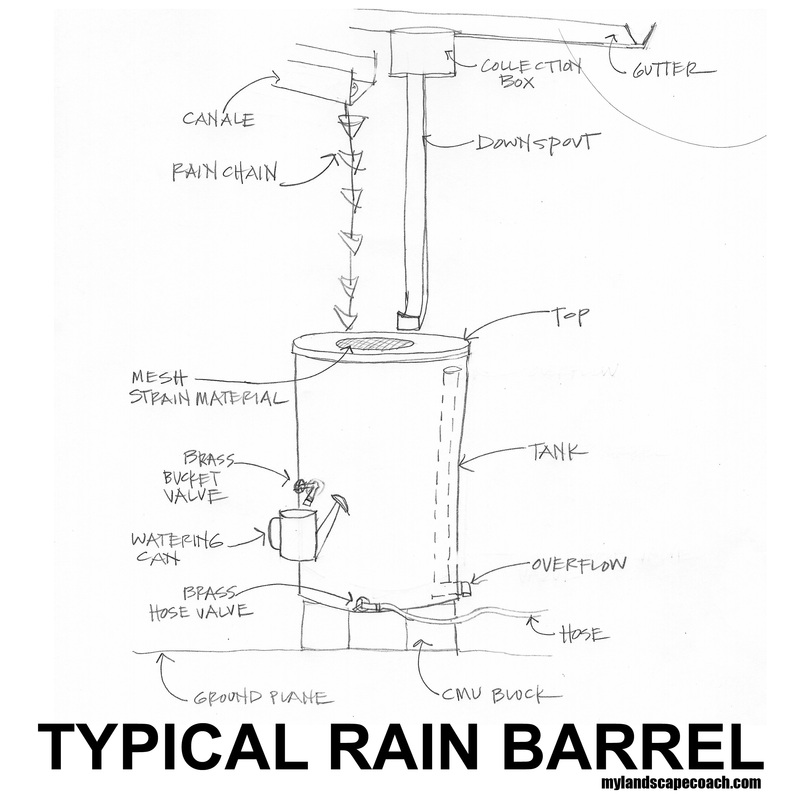 A rain barrel collects and stores the rain water. Water is dispersed into the rain barrel through downspouts, or canale’s. 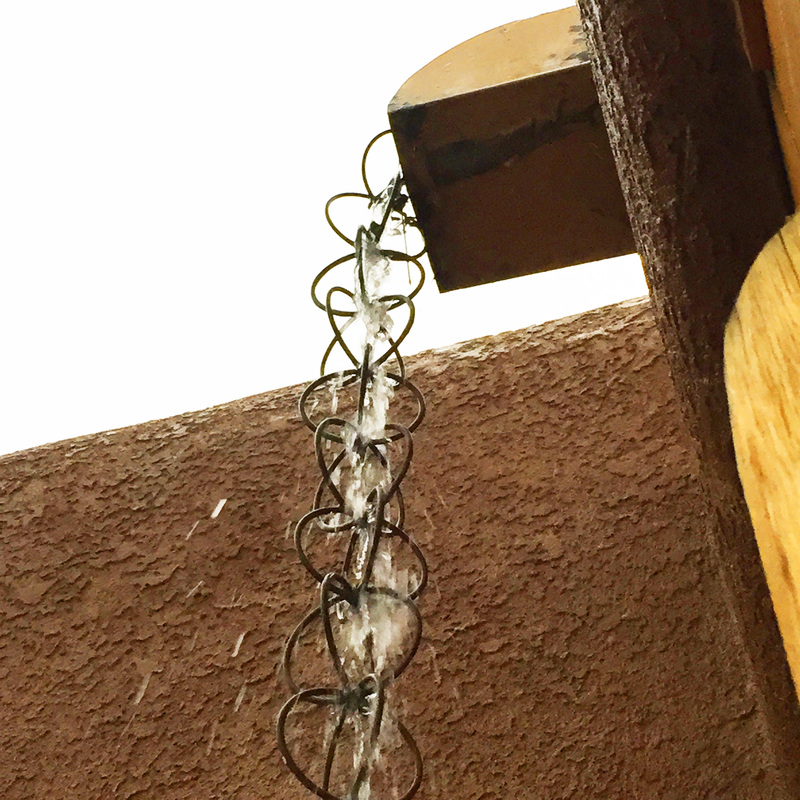 A rain chains purpose is to direct the water into the storage bin by giving the rain something to grab onto. It’s also a decorative feature in the garden. Traditionally they were used in Japan as an alternative to a downspout they have since become ubiquitous with rain barrels. I love how the rain chains are very good at directing the rain during long steady storms like the ones Seattle gets. 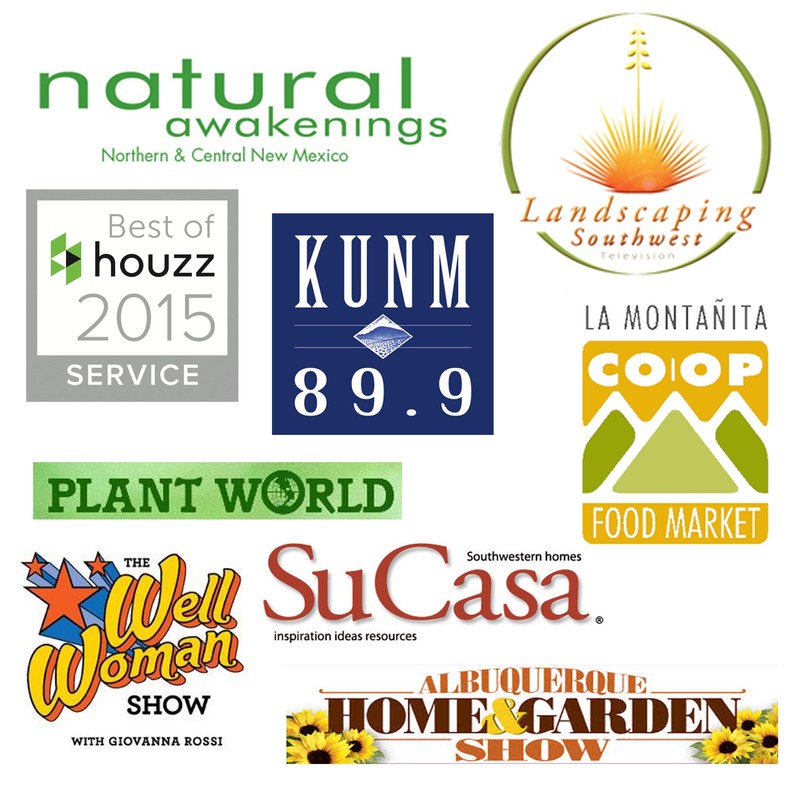 They tend to not be as useful during our Southwestern monsoon rains. However, once the downpour is over and the flat roofs begin to drain, the rain chains perform by directing every last drop into the storage bin. 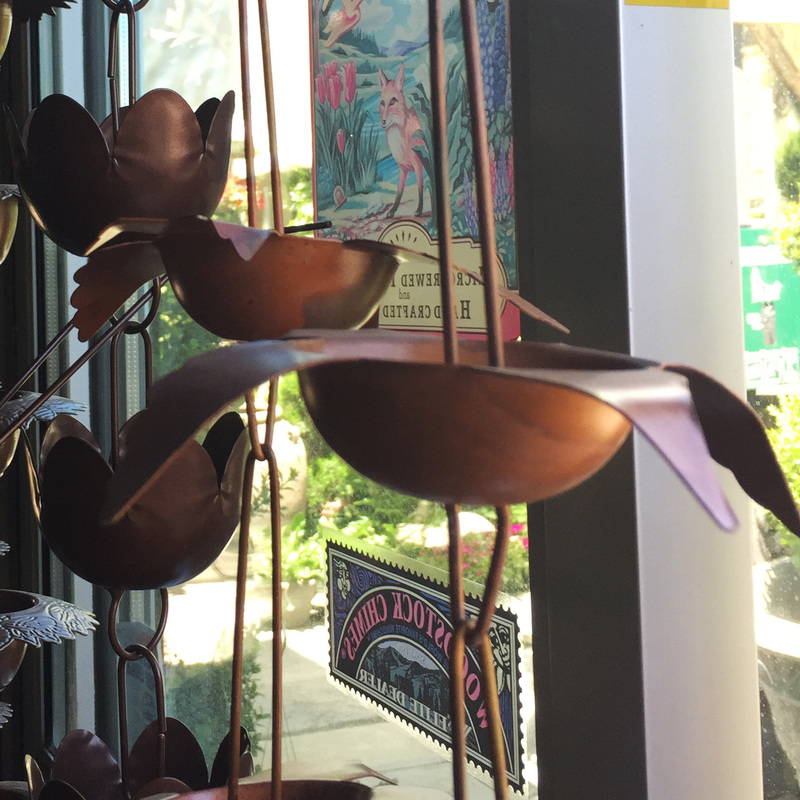 While a rain chain is certainly not required they add an artistic look to the garden year round and since it’s just a method of directing water into the barrel it can be made of quite literally anything. Check out these Pinterest boards and let your creative juices roll. And while you are over on Pinterest be sure to Follow my Pinterest page! Happy Pinning. 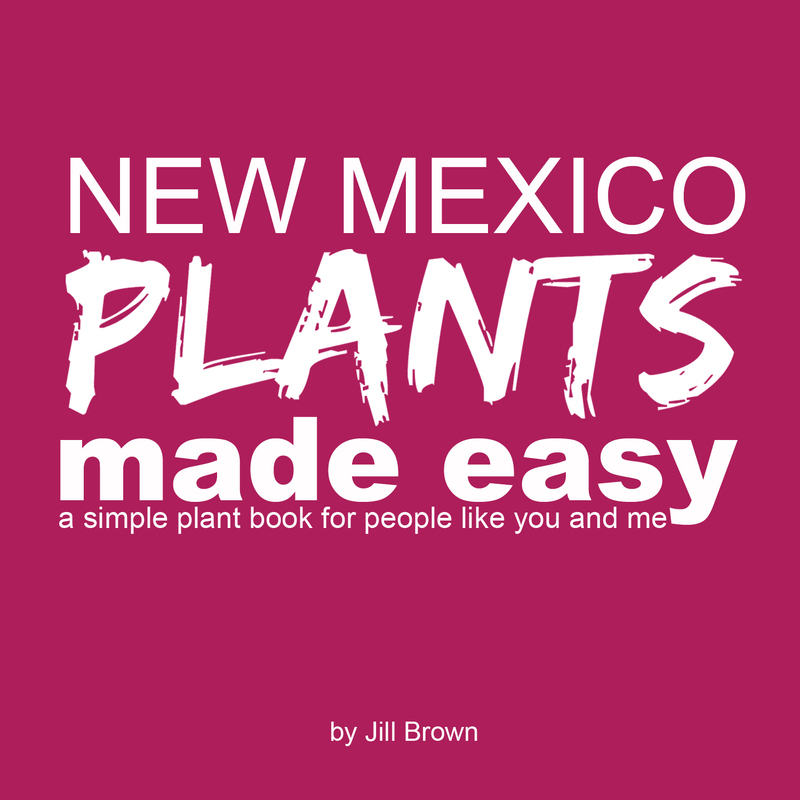 My wife was looking for new decorative pieces for our patio, and after reading I’ll be sure to get her a rain chain. Not only can they help me collect water in a barrel, but they can make my wife happy by adding a nice decoration. That way I can get both benefits with one simple tool. Thank you for stopping by the blog. 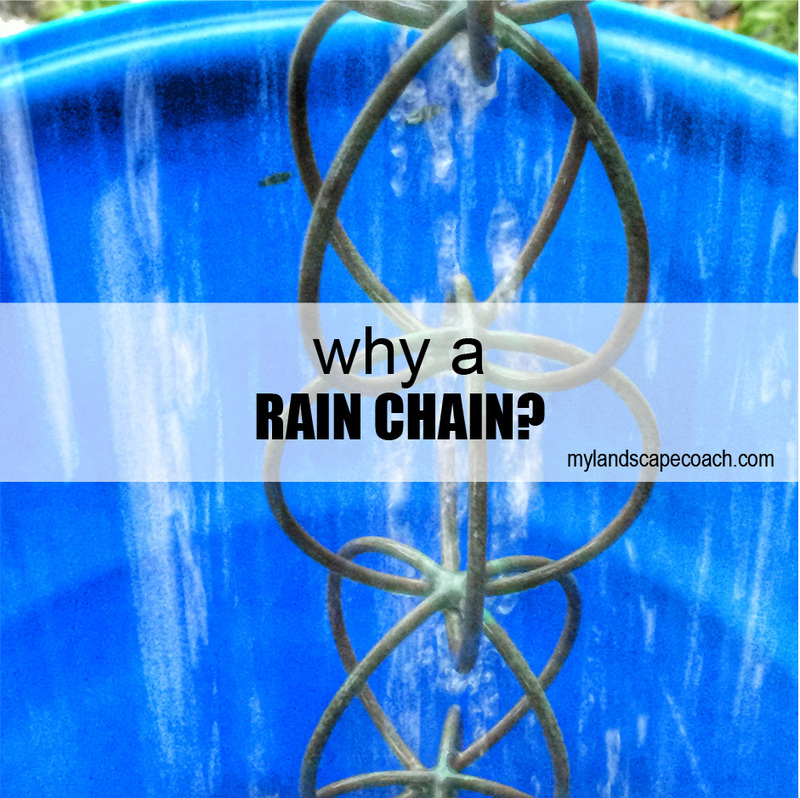 Please share pictures of your new rain chain!! I don’t think that a rain chain is in any way necessary for collecting rainwater in water barrels. It is simply a decorative and cool way of doing this, and I like them. It is one of the best ways to add some flair to your gutter system. Just be careful if you have kids. They love trying to climb up the chains. Thank you James for sharing. This is very useful information, that surely would be a concern for families with young kids. How have y’all been using rain chains in Atlanta? I had no idea that rain chains were used to direct rainwater into storage bins. 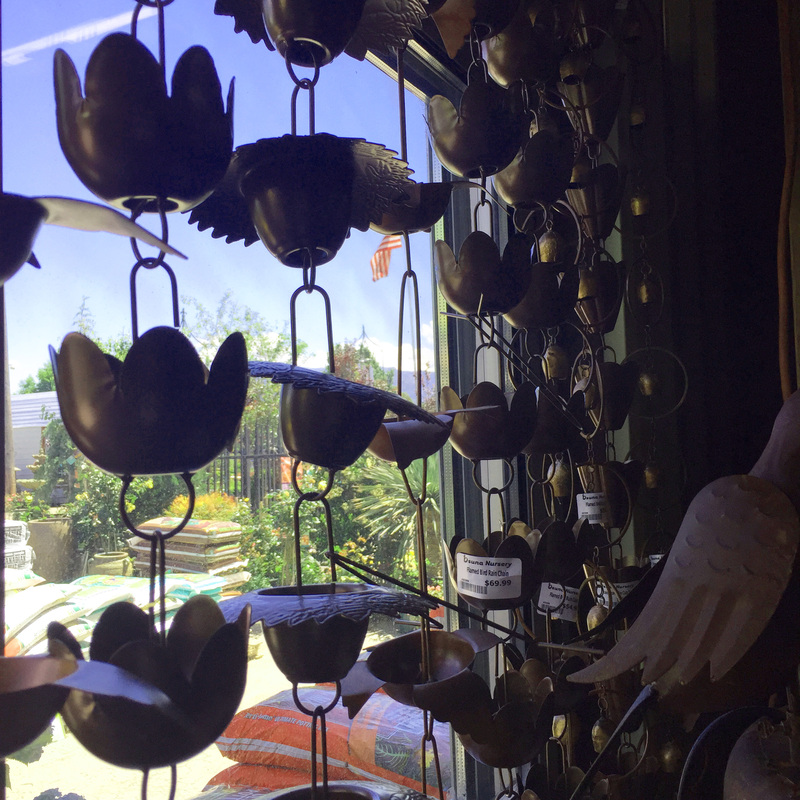 I have a friend that just got a rain chain for her house, and it was very interesting looking. I will have to see if she likes it, and it we can find one nearby.